The model and cookbook author is pretty passionate about accurate kitchen terminology. 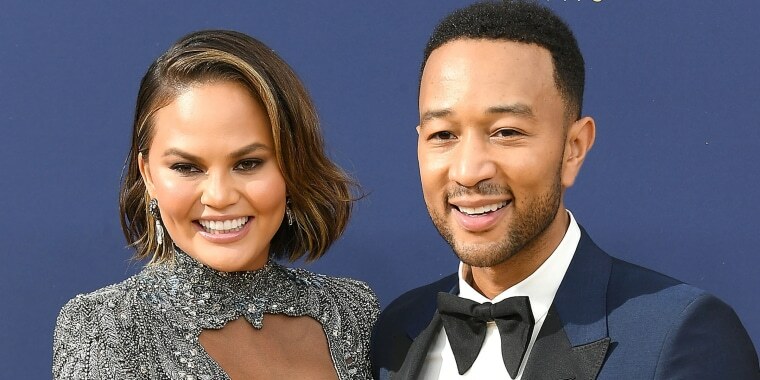 John Legend and Chrissy Teigen certainly like to spice things up in the kitchen together, but he may need to simmer down about one particular kitchen conflict. In a recent interview with The Daily Beast, Legend admitted that he and his wife used to argue over the word simmer. Rehashing the old argument sparked Teigen (who is no stranger to Twitter) into posting about it. The cookbook writing mom-of-two shared her fiery thoughts about the common cooking term on Wednesday. So does the word simmer really refer to a heating action or to a specific temperature? Though Legend told The Daily Beast that he and his wife "once fought" over the meaning of the word, according to Teigen’s tweet, that fight isn’t quite settled yet. Legend reportedly believed that simmering meant a low temperature setting on the stove while Teigen clearly believes it's all about the water itself. Now plenty of her followers are getting heated up about the word's real meaning, too. Incorrect. My Mama taught me that when you simmered food, you turned the heat to low. ARE YOU SAYING MY MAMA LIED? CALLING MY MAMA A LIAR?! Uh. Does he have a cookbook out? Or 2?? With her second cookbook released just last month, Teigen dominates the household kitchen but Legend also loves to cook for the family. The star, who just reached EGOT status having won an Emmy, a Grammy, an Oscar and a Tony Award, has been making family dinners since before he could drive. But was he ever really simmering food? According to Jeremy Abbey, the Director of Culinary Programs at the American Culinary Federation, both Legend and Teigen have the right idea. When something is simmering (be it a soup, sauce or water), small, gentle bubbles will appear on the liquid's surface. The act of simmering itself not only gently cooks ingredients but allows the flavors of a dish to slowly come together as the heated liquid becomes more concentrated. So, in a way, both Teigen and Legend are kind of right in that simmering means cooking something at a low temperature which produces a gently bubbling liquid. Despite the friction over culinary vocabulary, cooking still brings Legend and Teigen together.